The alcohol industry has used 150 year old French and American oak barrels for centuries as an effective way of storing and transporting liquor products. It was found over time that the alcoholic beverage was preserved in these oak barrels and imparted desired and complex wood taste profiles and rich aromas. 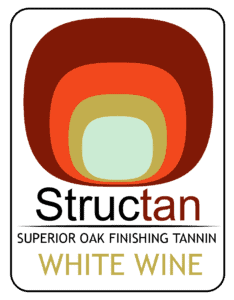 Stoak extracts both the Stabilising (Preservative) and Aromatic (Oak character) Integrating congeners contained in the wood and converts them into a highly concentrated and effective liquid form. Stoak acts as a potent stabilizer and preservative to beer, cider and wine, delivering longer shelf life and reducing product recalls. Stoak is a trusted blending aid that assists in the rounding and completion of wooded spirits post-ageing. Stoak is 100% natural and helps companies to deliver high quality products that are healthy and free of harmful additives and synthetic chemicals. Stoak impart complex and mature wood notes in the final blending of spirits. Precise control over final blending and stability through accurate dosing of Stoak. Stoak imparts wood congenors that act on spirits on a molecular level asssisting in rounding and ageing. Isn’t it time you took back control ? With Stoak you have far greater control over the fermentation and blending processes in your business. You are able now to fine tune your inputs and see immediate results. With all the benefits of modern Biotechnology shouldn’t your business be easier ? Try Stoak to find out how. No limits to where you use Stoak, dose in a 300l cask, in final blending tanks or in stainless steel, the versatility of application is extensive. Whilst we recommend dosage volume you get to choose how you “dial this in” work to your brand and intended profile by simply adjusting the level of Stoak liquid dosed. Because Stoak is in liquid form the impact on your product is rapid and widespread allowing fast results and feedback. Stoak’s wood liquefaction technology operates on a molecular level and allows it to extract the core benefits of 150 year old oak, into a concentrated and highly effective processing aid for Master Distillers, Brewmasters, Winemakers and the global alcohol industry. Stoak products have shown impressive results in stabilising beer, wine and other fermented products. It has been tested in a number of applications retaining freshness for over 2 years at room temperature. University forced aging have shown great outcomes in wine providing for a substitute for sulphur. Stoak products are a powerful assistant in the distilling process. It is not intended to replace Oak barrels but to compliment them, assisting in the rounding and completion of desired taste profiles. The same wood congeners released over long periods of time have been liquified and are now able to compliment your final blend pre-bottling. All Stoak products are entirely natural. They are all USA and EU organic certified. The OIV wine institute has approved the use of Stoak’s products in wine as they represents the same ingredients as are currently being imparted through oak barrels. Stoak’s liquefaction process uses only 2% of the wood compared to traditional maturation processes. The producer is now able to accurately and finitely control the quantity of essential wood congeners delivered. This allows a level of fine tuning not possible until now. As the products are all liquid this also means that you have even distribution and a consistant effect throughout the storage container, resulting in a preditable and manageable result for all products. Find out how Stoak’s range of products can assist your brewery in extending shelf life as well as adding Oak matured character to your beer. Find out more about our finishing tannins for red and white wine as well as our innovative solutions for bulk wine stability. The alchemy of oak character and ageing is most profound with higher alcoholic spirits, click here to find out how we can add depth and character to your distilled products. Try our Oak Extract ! Contact us to discuss your requirements, we have great trial information and results of practical use of Stoak’s range of products. Many of our customers have been using our products for years, in a wide variety of applications from wine to beer, to spirits and ciders. Stoak has proven its potent results time and again. Making any change to any production involves a controlled testing program. We are happy to provide samples of all of our products for you to test and simulate volume results, we work directly with you to ensure optimal dosing, dosing location and product variants.